SOLD OUT ON OUR END… NE PATS & FORCED EXPOSURE HAS THE REMAINING COPIES. First actual vinyl record dedicated entirely to the music of Boston’s boss post-core art-punk trio. There other two long players are splits, with Palberta (FTR166) and Skimask. 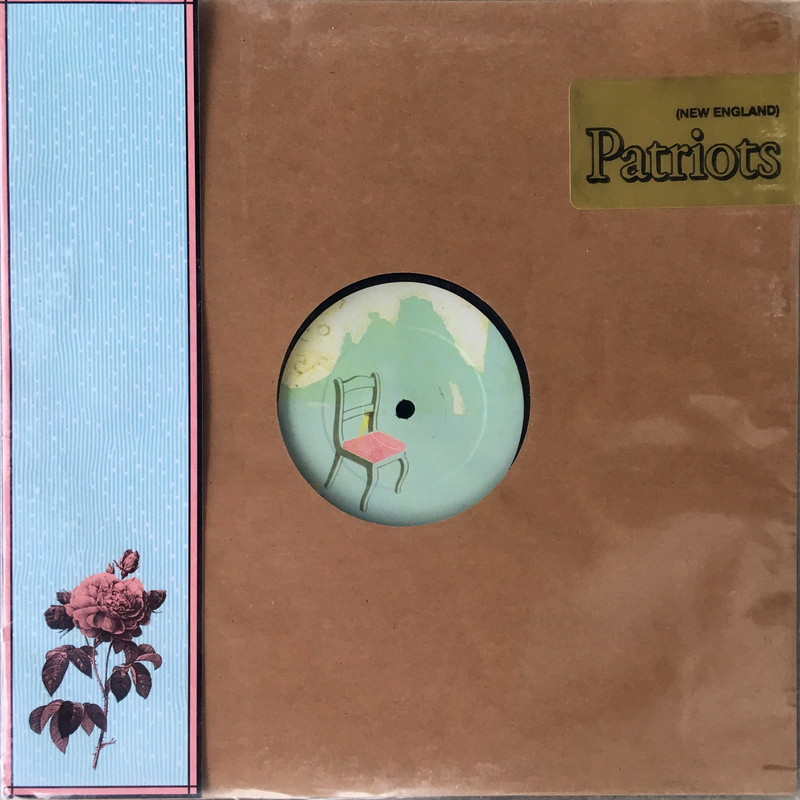 And while those two bands are certainly estimable in their own rights, the unadulterated CHURN of (NE) Patriots gives this album a very special squirm. Certain aspects of the blabber still make me think of the late, lamented Cows, and their whole whizzing raunch shebang. But there’s nothing in my personal listening history that has this exact brand of sonic adventurism. The Pats still just use guitars, drums and tongues at work in shaping their sounds (certain bass register tones being ascribed to fat strings, perhaps? ), and they have a beautifully anarchic approach to song assemblage. Some of the tunes stretch out like worms in Gibby Haynes’ colon, others are compacted the way the Hobson Brothers nut sacs might have if they’d given each other cube-dunks back in Killdozer’s heyday. A firm and mighty sound.